First starting out in the zone... ya know "IN" my comfort zone. Which now is actually a pretty nice zone. 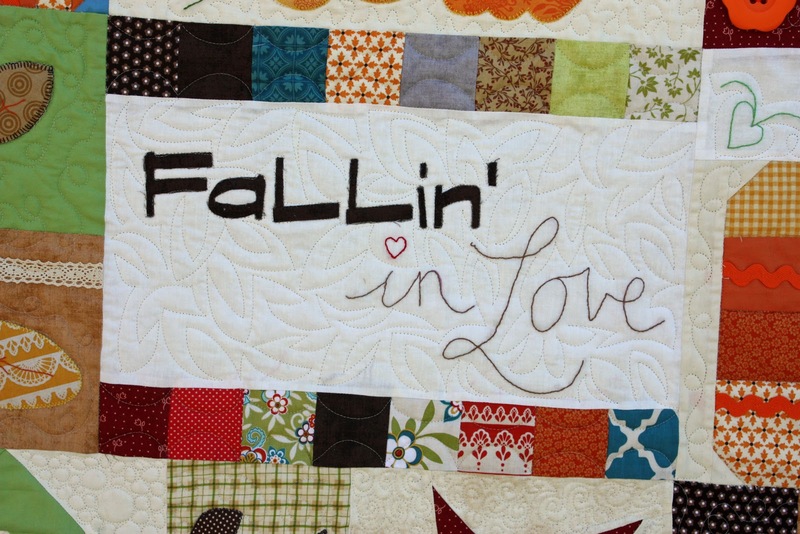 I just finished my newest pattern "Fallin' in Love"!! I actually am in love with Fall so it could easily be Loving the Fall. It is my most most favorite time of year! My ultimate favorite outfit is a sweatshirt with jeans. 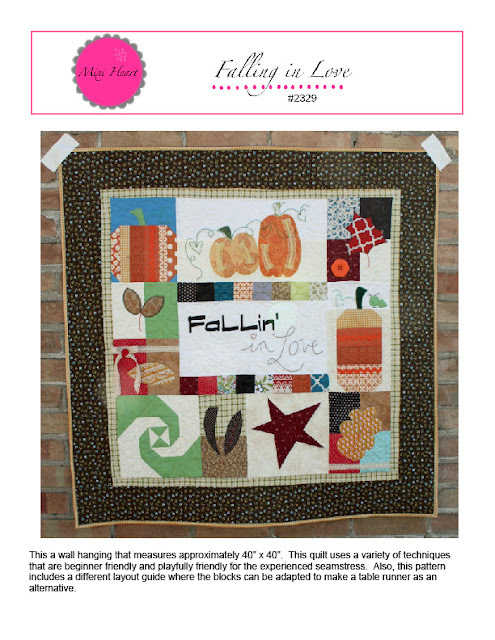 Ask anyone that loves me and they should know :) This pattern sews up pretty quick. I find all the parts quite enjoyable which makes sense why I made it the way I did. 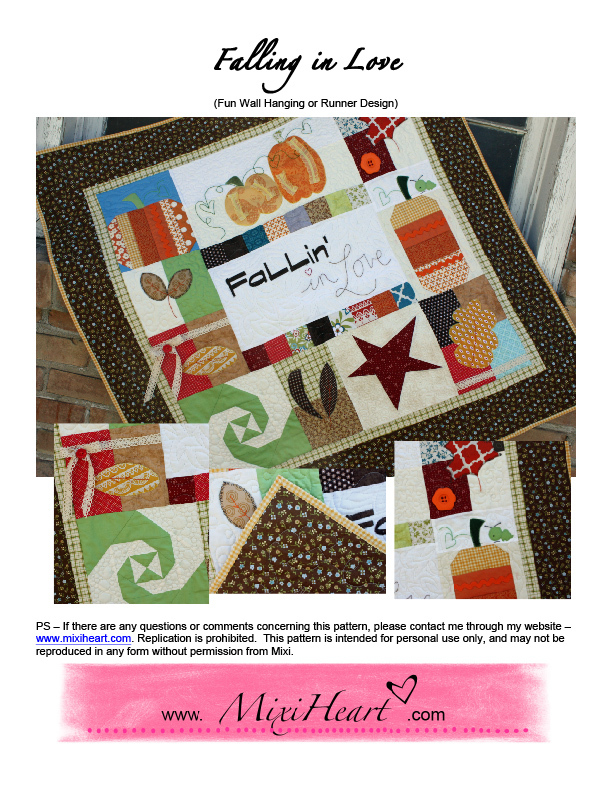 This pattern is available in my pattern shop (tab #2) as well as my Etsy and Meylah stores. I think living here in Utah that the fall is a great time because the weather seems to be pretty stable. You have a pretty good idea that it will be pretty nice during the day and that it will cool slightly in the evenings and who doesn't love to bundle up (not snow bundle up but you know layer maybe with a scarf and wear your favorite cap)? 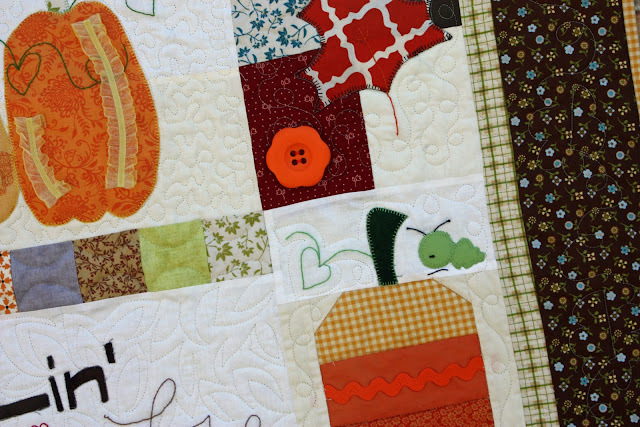 I quilted this quilt much like all my other samplers but I tried a little bit of falling leaves in the middle of the quilt which was a little fun. I think that trying new things in small quantities really is enjoyable because it doesn't really drag you too far "OUT" of your comfort zone or really any at all. Buttons are a girl's best friend for embellishments. This is the case especially when it doesn't call for a button hole, lol. I love little caterpillars too because I loved playing with them when I was little. I think that the really furry ones looks pretty intimidating to touch in the beginning but once you tested the faux spikes you knew you were in the Safe Zone. And the next thing you know you have a caterpillar on your face! lmbo! 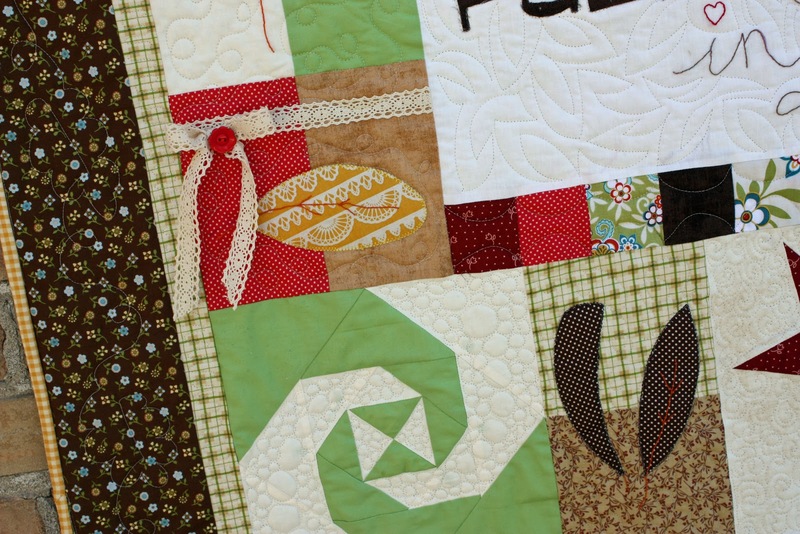 Again, I know I love pebbling and this block down below gave me the perfect excuse to add my new favorite quilting technique. I want to touch on Falling in Love and how it is a bit of a whirlwind. I thought this was for sure the case. I was pretty young when I fell in love for the first time, kinda I guess. I was about 17 1/2. I think I figured it out when I really didn't want to be without that person and when maybe leaning towards separate paths, the thought of loss was pretty tortuous. It happens to be my hubby so that is kinda special. We were young and we got married pretty young too. Growing up is a little tuff and to do it together still tuff. We made it though. I think we are officially adults now at 30+. Anyway, it is neat to kinda draw inspiration from life. I got a change to expand my loop design to include a fall leaf. Pretty easy and a perfect result for this quilt. AND now for really "OUT" of the comfort zone. dun. dun. dunnnnn... Sewing with knits. 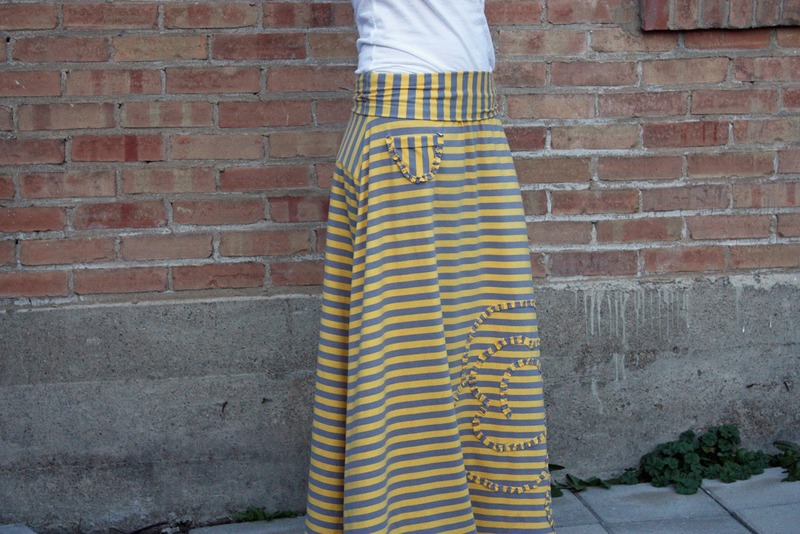 Riley Blake is coming out with their new knit designs in tons of colors and stripes, dots, chevrons. 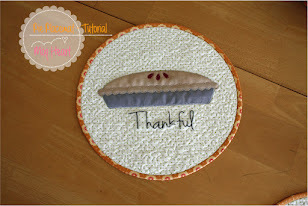 Their knits are so soft and awesome to sew with so that is the easy part. The hard part is that I have been on this road of trying to get better with sewing clothes and I am still traveling on the road. I relate it to long-arming how I was really rethinking that situation at first but now I love it! So, I think that this will be really similar traveling on the clothes making road. 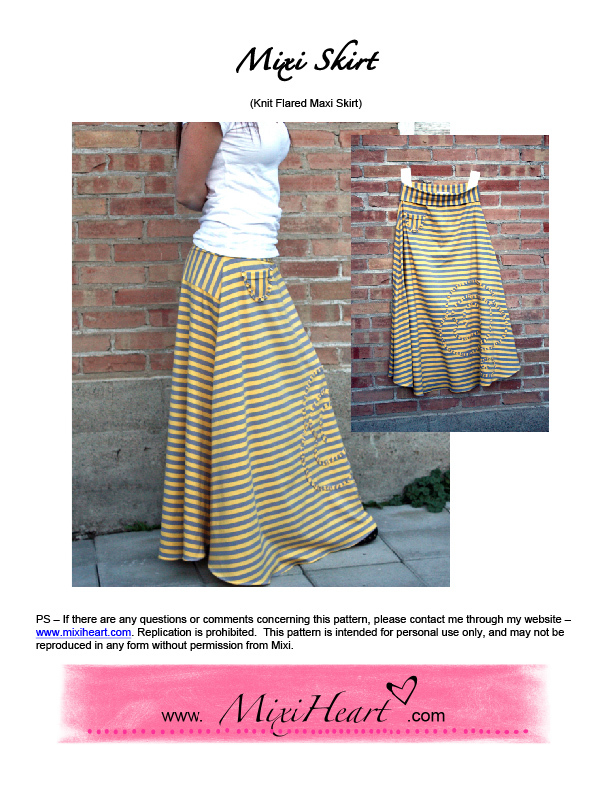 I am in the zone this week though, I am releasing my first skirt pattern so it fittingly is named "Mixi Skirt" because it is the first one. 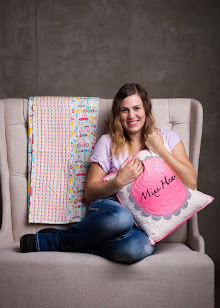 It is made with knits and let me tell you if I can do it then you can too, believe you me. Seriously, I don't want to expose myself but if it isn't simple (in clothes construction) right now than problems come out of the woodwork. But you are in the No Worries ZONE here. It has a great shape. I know we have all seen the Maxi Skirt out there, but my favorite one is a FLARED Maxi Skirt because it flatters my shape best. I am curvy. I know it might not look it in these pics and that is because the skirt hides all of that!! The skirt is so so comfortable and I feel stylish. 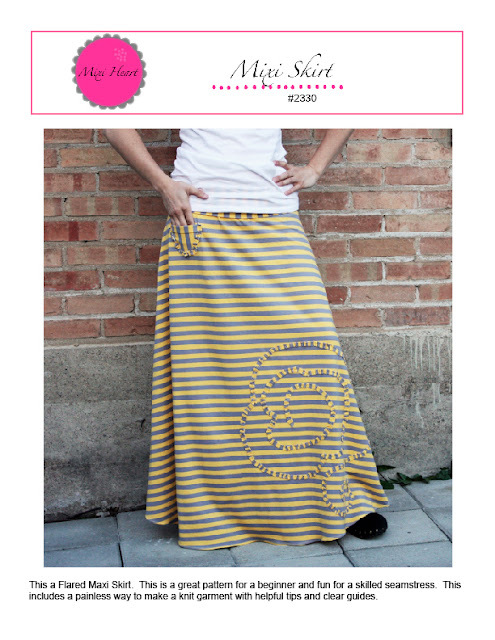 This pattern has an fold-over waistband that aids in that comfort. The fun part is the ruffled design to add a little bit of dimension and the cute little pocket for some essentials kept easy. Look at me just going on and on. Comfort is always key for me but I like looking cute doing it. 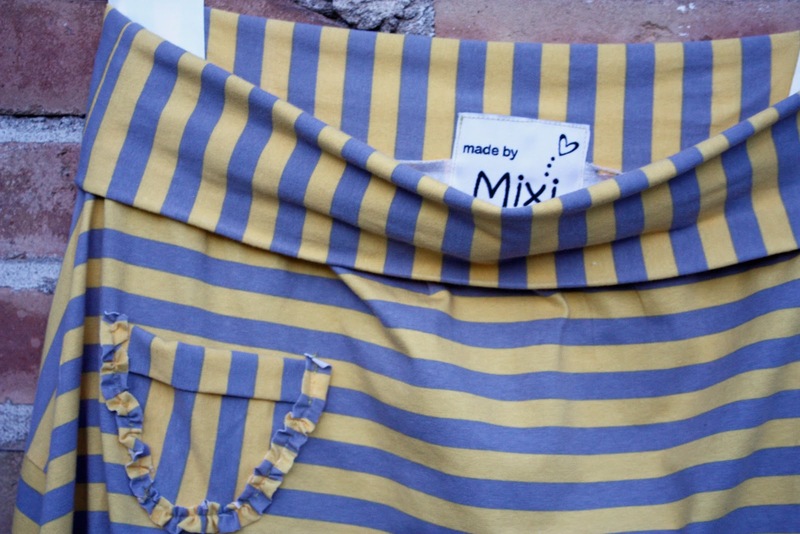 I played with the stripes a little on the back to add a little interest to what would be a plain back. It is cool because it makes things even slimmer (who doesn't love that). 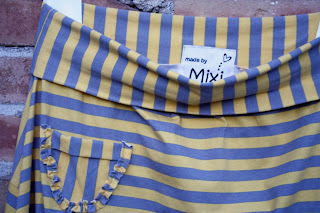 The bottom is a baseball style hem. That is fun part of making your own clothes is that you get to include all your most favorite styles and cuts. If you like it then you better put a label on it! Another thing to mention is that I finished teaching my class recently and I actually am moving that on in to my comfort zone because I enjoyed learning and sharing with others. I would love to get the opportunity to teach more classes in the near future. It happened to be on Labels and how important it is to label your projects. I have woven labels that are most often pictured with my sewn items. I would love to get a softer label for these knits so stay tuned for that. So this is what is sewing on here in my house. 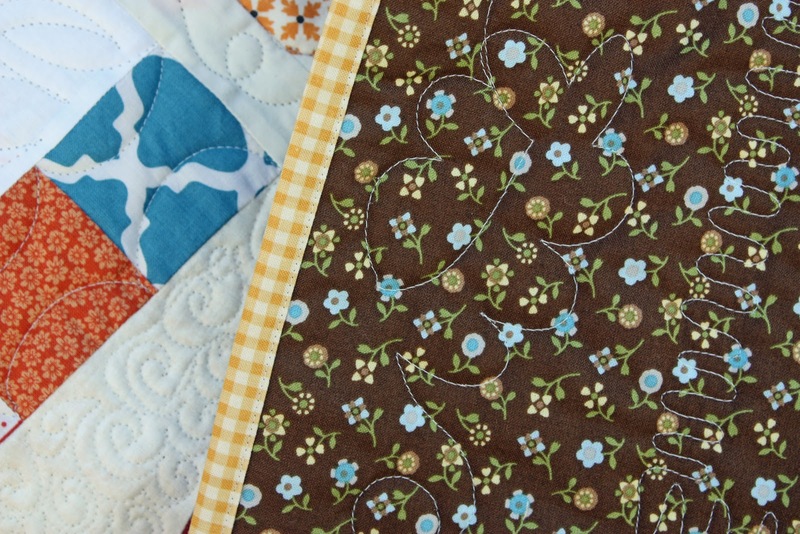 I have a few more patterns coming up over the next few days. Hopefully I won't be broke out in hives worrying about making mistakes and learning the hard way on my clothes pattern journey. Thanks so much!! 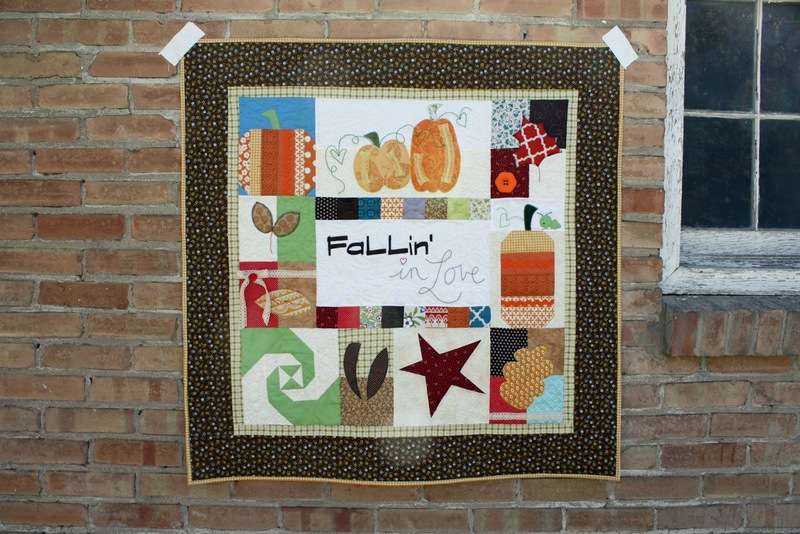 I love your fall quilt and I LOVE the skirt. Wow you got your pattern all done! You rock! I really do think the skirt turned out adorable. I love the pocket.